Over the last 49 years, we’ve earned a solid reputation as a long-haul transportation carrier for the U.S. Postal Service. Our family-owned-and-operated business upholds an unwavering commitment to timely service and cutting-edge technology. From state-of-the-art Volvo trucks to rigorous maintenance, we’re moving the industry forward. And we believe our loyal team of employees paves the way for our success. Learn how B&B Trucking, Inc. ensures safety and builds trust—with every load and every route. This is by far the easiest job I’ve ever had. Dispatch is extremely friendly and helpful, and the flexible scheduling is amazing. When I first started, I was filling in for someone. But eventually, I was placed in a full-time position. Now, I’m in my fourth year with the company and can’t imagine working anywhere else. 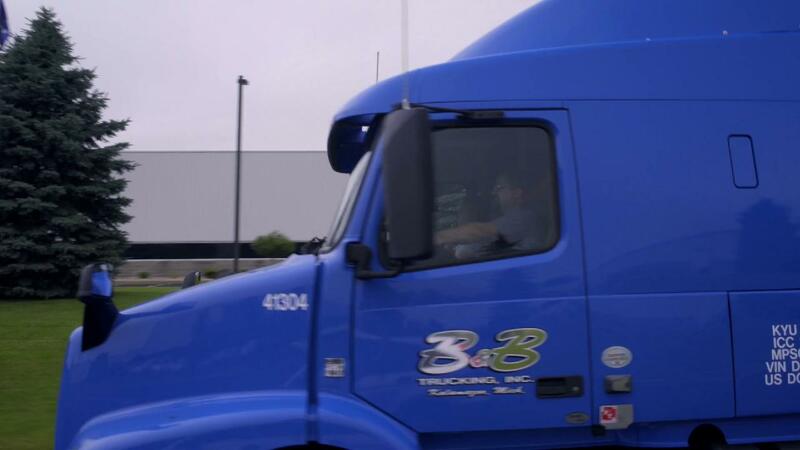 Working for B&B Trucking means you’re our partner—and part of our family. Ever since our founding, we’ve always put family first. So we encourage you to do the same. Whether you’re traveling cross-country or to the next metro city, our top priority is getting you back home. If you’re ready to work as a team, receive competitive benefits and a stable schedule, apply today. You’ll see why we differ from other freights and experience true support until the very last mile. © B&B Trucking. All rights reserved.